A repowering project at the Altamont Pass will reduce raptor kills, but the news may not be so good for bats. Bats are under siege nationwide. North America's deadliest wind farm is getting a makeover. In February, Florida company NextEra completed the first phase of a four-year process to replace nearly 2,000 turbines, roughly half the total number distributed over Altamont Pass' 50,000 acres, with supersize new turbines projected to reduce bird deaths by up to 80 percent. As many as 10,000 birds currently meet their fate among the windmills every year. Absent from these calculations, however, is an entire class of species: bats. Scientists don't have a clue as to how many bats are currently being killed by Altamont's spinning blades, but some evidence suggests that the new, taller turbines are worse, not better, for the flying mammals. In fact, bats are under siege nationwide. Bat populations in the Eastern US and Canada are already decimated by white-nose syndrome, a fungal disease making a seemingly inexorable march toward the West. It has killed nearly seven million bats in North America and is considered the worst wildlife disease epidemic in the continent's history. After being discovered in upstate New York in late 2006, white-nose syndrome registered its first cases west of the Mississippi earlier this month. White-nose syndrome affects cave-dwelling bats, while wind turbines kill migratory, tree-roosting species. In California, the latter category includes the hoary bat, the silver-haired bat, and the Mexican free-tailed bat. The little brown bat, distributed across the country, is among the few species being impacted by both. The two scourges have converged in the Eastern United States, and if the same happens in California, the cumulative impact could threaten the animals' continued existence in North America. Though often maligned and misunderstood, bats play a critical ecological role through insect control, plant pollination, and seed dissemination. At Altamont, it seems almost no one is taking bats into account. Their fate has been overshadowed by that of the region's marquee species: the hawks, falcons, and eagles that have captivated visitors to the region for centuries. While bat mortality rates at Altamont are surely smaller than those of raptors, which some estimates place as high as 5,000 a year, no one knows how much smaller, nor how much of an impact the turbines are having on migratory bat populations. "I don't think there's anybody involved in Altamont Pass who thinks that bats are a big issue, but they could be," said Shawn Smallwood, who has been collecting data on bird kills in the region since 1999. "For years, we weren't even looking for them." NextEra's "repowering" is the result of a lawsuit over bird kills brought against the company in 2005 by Californians for Renewable Energy and five local chapters of the Audubon Society. The parties agreed on a plan to replace all of NextEra's turbines in the region, many dating to the 1970s and standing sixty to eighty feet tall, with roughly 125 modern machines measuring 262 feet to the hub and 428 feet to the tip of the blade. The older turbines must be shut down by 2015, even if the replacements are not yet ready. Fewer turbines means fewer run-ins with raptors and migratory birds riding Altamont's trademark winds, and the new single-pole design should further reduce impacts by eliminating the lattice structure that attracts many birds to roost. Perhaps most importantly, the turbines will be carefully sited to minimize threats to raptors as they sweep up and over ridgetops and down into valleys. But bats are another story. A simple lack of knowledge meant bat impacts were not taken into account with the new siting criteria, said Smallwood. What's more, the larger, more efficient turbines could pose a greater threat to bats than the ones they're replacing, according to a study conducted in 2007. "Bat fatalities increased exponentially with tower height," concluded Canadian researchers Robert Barclay, Erin Baerwald, and Jeff Gruver, after examining data on bird and bat kills at 33 wind farms across the US and Canada, including Altamont Pass. "While replacing older, smaller turbines with fewer larger ones may reduce bird fatalities per megawatt, it may result in increased numbers of bat fatalities." The study's authors attributed this to taller turbines invading migratory bats' airspace, but there are other potential explanations as well. "It might be that because the bigger turbines are so far spaced out, bats might not perceive the bigger turbines," said Cris Hein of Bat Conservation International, who has studied the interaction of bats and wind turbines for the last six years. Another theory, Hein said, is that migratory, tree-roosting bats might be more attracted to the new turbines because they resemble tall trees. In other words, the same turbine design now favored at Altamont because it's less likely to attract raptors and migratory birds could potentially do the opposite for bats. "We're trying to find out anything we can learn from these bat and wind turbine interactions," said Hein. "Despite tackling this issue for the past eight or so years, there's still a lot of questions that need to be answered." Another unique threat being evaluated by scientists involves a condition called barotrauma, where bats are killed by the pressure differential created by wind turbines. 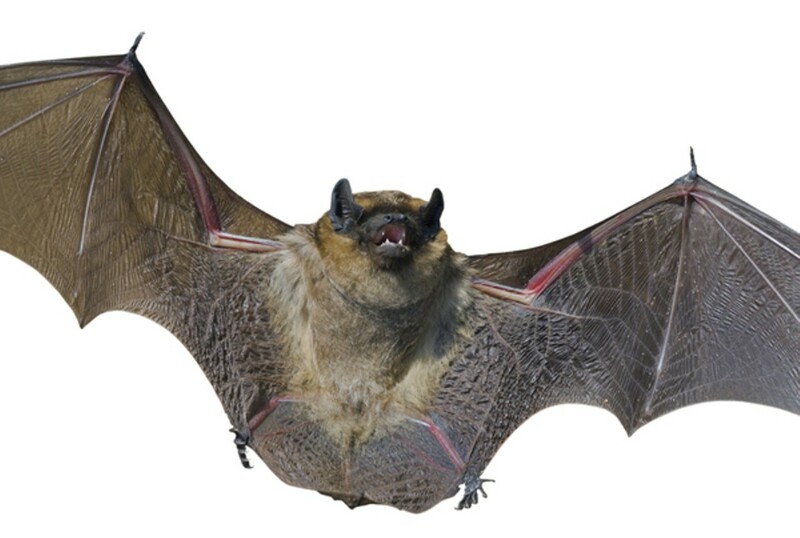 In addition to broken wings and severed heads caused by collisions, bats have been discovered beneath turbines with burst blood vessels, organs, and ear canals. Barotrauma has been hypothesized as the cause, but not much more is known. Granted, it's not easy to study migratory bats. They travel in the dark and roost in a different tree every night. They're small, hard to spot, and nearly silent. Once dead, they're quick and easy prey for Altamont's scavengers. The result is that not only do scientists have no idea how many bats are dying at Altamont, but they also don't know the size of the current or historical population. A small number of kills could still constitute an unsustainably large percentage of the gene pool. Wind-energy producers and researchers are testing a number of strategies to mitigate impacts, including using the bat equivalent of a dog whistle and shutting off turbines at low wind-speeds, when bat fatalities tend to be higher. 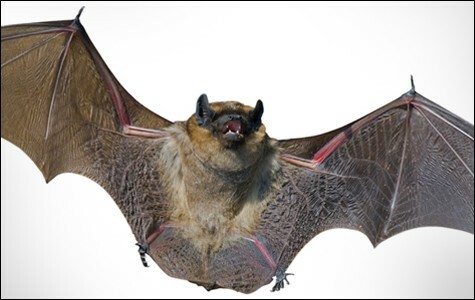 Studies have shown that increasing the cut-in speed, or the wind speed at which turbines switch on, to between eleven and fifteen miles per hour can reduce bat kills without a significant loss in energy production. NextEra spokesman Steven Stengel said that NextEra's new 2.3-megawatt turbines are set to turn on at a wind speed of nine miles per hour. According to Marie Strassburger, Regional Migratory Bird Chief for the US Fish and Wildlife Service in Sacramento, NextEra has not yet complied with recommendations described in the agency's Bird and Bat Conservation Strategy. While her office has encouraged all of Altamont's operators to follow a set of bat-friendly measures, she said, bat awareness remains critically low. "Unfortunately, bats haven't got a lot of attention even though they're an awesome group of species," Strassburger said. "We definitely need to be doing more research." A recent report shows the number of birds killed by Altamont wind turbines is increasing, prompting a grassroots group to go to court to stop it. Local judge's ruling in a case pitting enviros versus wind-power firms delivers a blow to California wildlife, and a legal rebuke to her stepson.